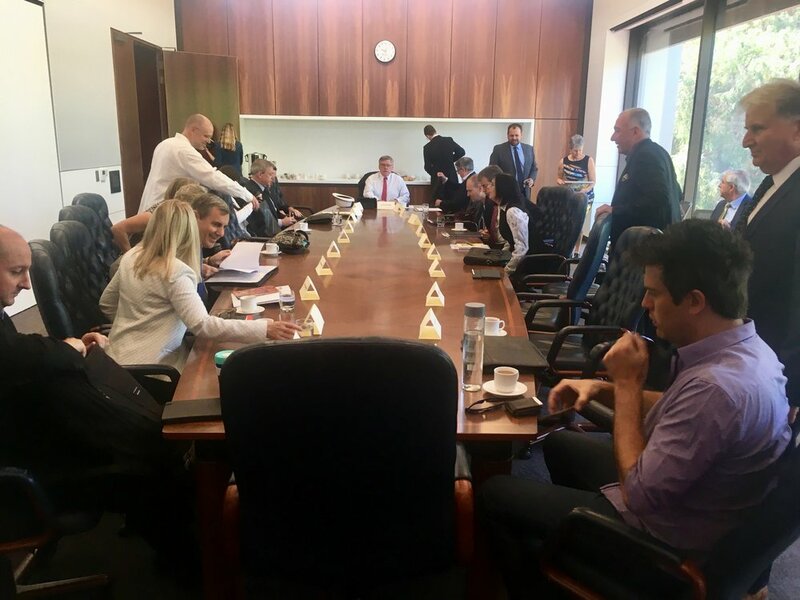 StartupWA has been lobbying for a 'roundtable' like this consortium meeting and were pleased to receive the invitation from Ministers Dave Kelly and Alannah MacTiernan. Both Ministers have large portfolios in a new government, and bring demonstrated ability to lead change in areas they are passionate about. With Innovation being a new portfolio, they wisely sought input from local experts - in this case, seventeen invitees including: marine entrepreneurs, social impact, angel investors, med-tech, co-working space providers, corporate innovation and games. Commitment – to implementation, ongoing industry engagement and incrementally grow a culture of innovation in government and the wider community. We and other participants also questioned some of the framing assumptions - e.g. budgets that assume the State’s growth will come from domestic consumption; what types of jobs are desirable to create; and the scope and definition of innovation. That first point is such a fundamental one: our State needs an economic approach that encourages new opportunities to grow out of existing industries and challenges. Having an open relationship with industry, and outward orientation to international markets is necessary in a world of increasingly rapid change and disruption. A short-term, small-target approach, trying to mitigate domestic political risk just does not cut it. Many case studies of successes: startups, scale-ups, government departments and policies. Actions speak louder than words. This financial year has seen the same or less investment as last year. While ‘business as usual’ without change is low risk, it isn’t “innovation”, and we need to see more cultural leadership, effective programs, and intelligent investment by Government. StartupWA is committed to working with the Ministers, departmental staff and others in the ecosystem to grow the local technology startup industry and our WA economy. While we hope good things will come of such meetings, our strategy is to engage practically, ongoing and effectively, to grow without delay.